Science is progressing with exponential speed. Some suggest that the entire store of human knowledge is actually doubling every five years or such--some suggest that that is an entirely conservative estimate. With so many advancing technologies and new ideas shaping science, it’s easy to forget how simply some of the basic necessities of medical treatments can go unfulfilled. 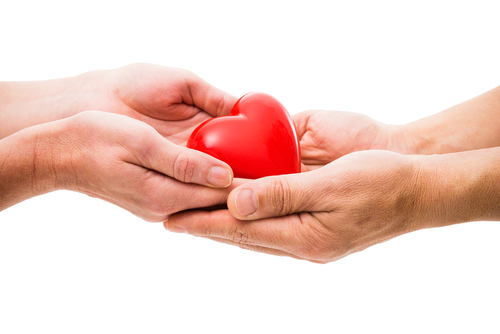 One of those necessities is healthy organs available for donation. Organ transplants have been around for centuries in the form of skin grafting, though it was not until the later part of the 19th century that what we would consider a true replacement procedure took place. That was when a Swiss doctor named Theodor Kocher first replaced a thyroid afflicted with goiter with healthy thyroid tissue, to stimulate thyroid hormone production in a patient that had begun suffering from symptoms after the original organ had been removed some time prior. In 1954, the first full organ replacement surgery was performed to transfer a kidney from one brother into his identical twin who was suffering from renal failure. The close relationship between the brothers, and especially the recipient’s body’s eager acceptance of the donated kidney provided scientists with a clue to the importance of genetic considerations when transplanting organs. It was a key event in expanding the lifespans of transplant patients. The science involved in organ transplant surgeries continues to evolve every year, but the most basic need abounds: healthy organs available for transplant. One day we may be able to grow genetically perfect organs separately in a lab (there are doctors around the world working away at this one even as we speak), but we are not there yet. We still rely on kindness of strangers, people who are willing to offer up their bodies to aid a fellow human in need and distress. In the United States, organ donation is plainly (and deeply) a personal choice. Thankfully, no one can be coerced by the state into doing it; there is no penalty for refusing to do it. Congress has had, for some decades, strict guidelines governing against the commercialization of human organs which curbs interest for some. Certain religious cultures reject the notion outright, and a few individuals are simply reluctant to consider the idea of sharing their most intimate possession--the body. Right now, there are over a hundred thousand patients in the United States alone waiting for a viable organ to come their direction. Approximately six more names are added to the list every hour, over 120 daily, but just under a hundred transplants are actually happening day-to-day in U.S. hospitals. The need for healthy organs grows larger every day. If you feel compelled to be an organ donor, talk to your doctor about the viability of your organs. Make sure that you carry some form of consent with you, allowing doctors to harvest your organs quickly in the event of a catastrophic event. Tell your friends and family about your choice, in case they are ever called upon to speak for you in such times.